Patoranking drops a visual for the Remix of his track today taking Nigerias by storm. 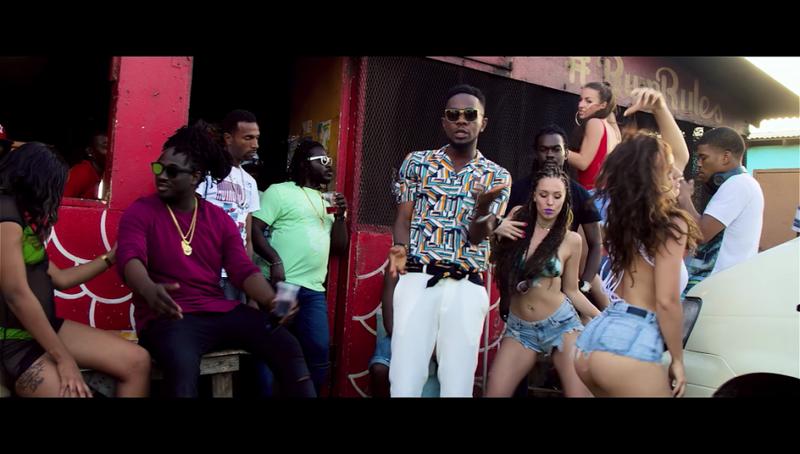 Konshens, this song is the perfect fusion of the Afro-dancehall genres. "Captured and directed by the award-winning video director Sesan , this video does a great job at representing both ends of the Jamaican and African musical scenes. From an exuberant introduction by the ‘World best’ himself, to the beautiful racially diverse women busting a whine in the colorful streets of Jamaica, all the way down to the vibrant style selections by Prince Aday, everything about this video captures the vivacious Afrobeats and Dancehall cultures. Patoranking who has undoubtedly solidified himself as one of Africa’s most in-demand artists in the Caribbean and let it take you from the streets and beaches of Jamaica to local restaurants and bars, while the music travels from your ears through your body as you bust a whine".